Boston, MA (April 26, 2017) A plan by WinnDevelopment and its nonprofit partner, NeighborWorks Southern Mass for a unique workforce housing community in the City of Quincy has received a boost from Massachusetts Gov. Charlie Baker, who chose the property as the backdrop for announcing a $1.3 billion housing bond bill to support similar projects throughout the state. Baker's announcement came Monday afternoon at the 1.7-acre site in Quincy, where WinnDevelopment and NeighborWorks are moving forward with plans to build a $44 million, 140-unit community that will feature the largest number of workforce units ever financed under MassHousing's Workforce Housing Initiative. The long-vacant brick office building at the site will be demolished to make way for The Watson on Howard, a community featuring 86 units of middle income housing at 110% of AMI a majority of the 140-unit total as well as 28 affordable apartments at 50% AMI and 26 unrestricted market rate units. The eight studio, 85 one bedroom, and 47 two-bedroom units will feature market rate finishes, and the property will include a gym, community room, and courtyard. This development is aimed at people who have incomes too high for subsidized housing but are priced out of Greater Boston's high market rents as housing costs continue to rise, said WinnCompanies CEO Gilbert Winn. This is going to be a high impact project for those who are under-served in the community and we thank the Baker Administration and MassHousing for their leadership to help make it happen. This project represents several firsts, Winn added. Middle income apartments make up almost two thirds of the units, which is an outsized proportion nationally. The number of middle income units is very substantial. And finally, it's rare to see new construction projects of this size with income restrictions. The property abuts the former Fore River Shipyard, once the nation's premier shipbuilding facility, which has been largely dormant for three decades now. Community leaders hope the mixed-income development will create more private investment opportunities in the area. This is sort of the crowning achievement of bringing this neighborhood back from the shipyard days, said Robert Corley, executive director of NeighborWorks Southern Mass. Community development is not always about affordable housing; it's about all kinds of housing. When the private market moves to address housing needs, it means the community is healthier and worth the investment. Combined with nearly $258 million in current, uncommitted capital authorization, the Baker administration's housing bond bill would create more than $1.5 billion in capacity to support all types of workforce, low income and public housing in Massachusetts. We believe that making investments in affordable and moderate income housing, so-called workforce housing, is a big part of how we continue to build a great commonwealth here in Massachusetts, said Gov. Baker. The lieutenant governor and I appreciate the creativity and imagination that WinnCompanies demonstrates in support of our efforts. 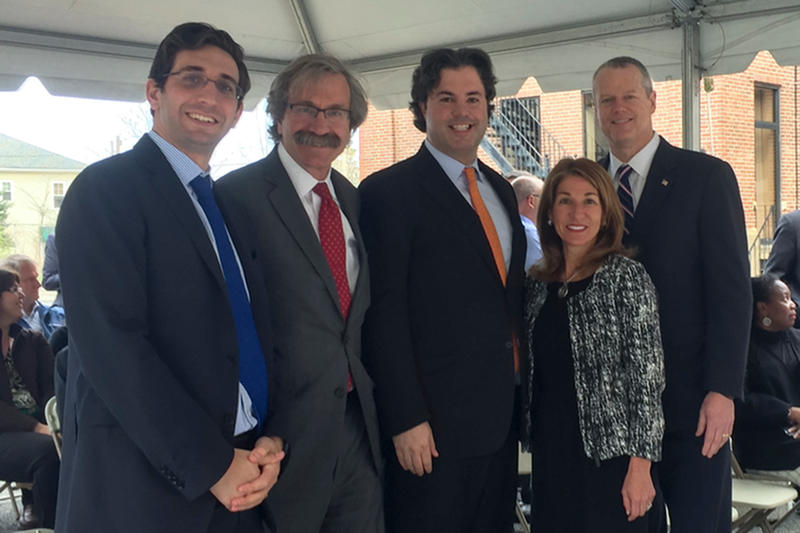 We're very pleased to be part of the Baker/Polito administration's strong support of affordable and workforce housing for lower and middle-income households across the Commonwealth,'' said MassHousing Executive Director Tim Sullivan. This project is a great example of new, workforce housing that will be available to residents of various incomes, particularly working families who want to live in communities with expensive rental housing. 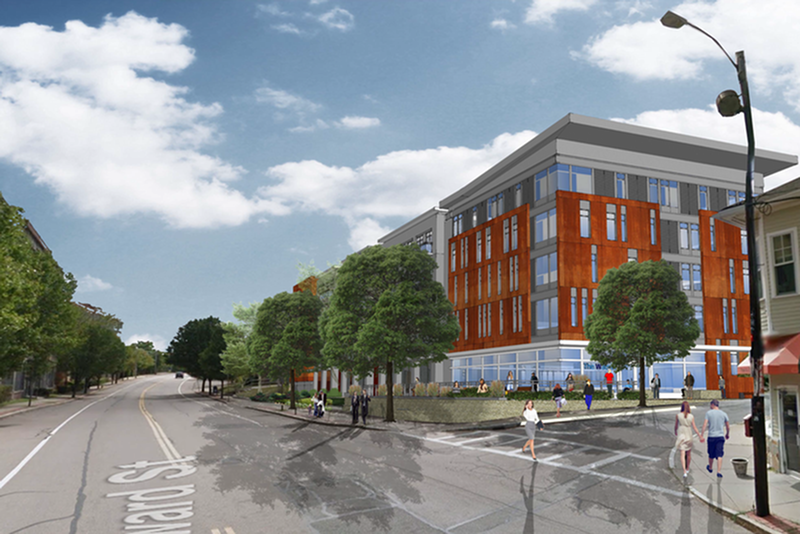 WinnCompanies has an exemplary record of creating and preserving high-quality, mixed-income housing and we are pleased to partner with them again on this important project in Quincy." This is a great project that is going to make a major difference in the neighborhood and we look forward to its completion, said Quincy Mayor Thomas P. Koch. This area is kind of the last frontier for Quincy. Other parts of the city have adjusted from a manufacturing economy to service industries. Also attending the April 24 event were Massachusetts Lieutenant Governor Karyn Polito, Housing and Economic Development Secretary Jay Ash, Undersecretary of Housing and Community Development Chrystal Kornegay, and State Sen. John F. Keenan, who represents Quincy. Construction will be financed by Citigroup, city and state soft loans, Low Income Housing Tax Credit equity, deferred development fees, and equity from WinnDevelopment. The project's income restrictions will be made possible through permanent financing and a workforce housing loan from MassHousing, city and state soft loans, LIHTC equity, deferred development fees, and equity driven by the Housing Development Incentive Program, a Massachusetts tax credit program for the creation of housing in cities like Quincy. Led by WinnDevelopment Vice President Meade Curtis, work on The Watson on Howard is scheduled to begin by June with occupancy expected by July 2018. Cube 3 Studio is the architect. Dellbrook Construction is the general contractor. It's truly fulfilling to see our vision for a high quality residential community with middle income housing options take a step closer to reality on this underutilized infill site," said David Crocini, of Crocini Consulting, who permitted the redevelopment. "We are thrilled to have WinnCompanies and NeighborWorks Southern Mass, who are highly experienced in this sector, bring our plans to realization. A rendering of The Watson on Howard depicted from East Howard Street.